I found this video on YouTube using the Lots of Lavender stamp set. I had to do my version of it. If you want to look at Melissas video you can find it here. I used Fresh Fig card stock as base for my card. I added a Whisper White layer. I cut out a scalloped oval in Fresh Fig and then used my stitched oval to cut out a piece of Whisper White. On another piece of white card stock I stamped the flower in black ink. 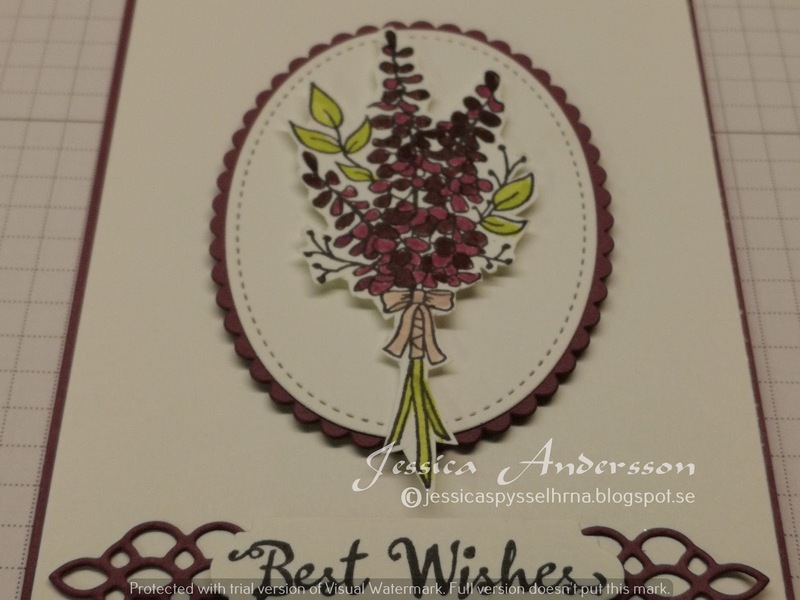 I coloured the flower with my Stampin´ Markers, used the colours Fresh Fig, Rich Razzleberry, Lemon Lime Twist and Powder Pink. 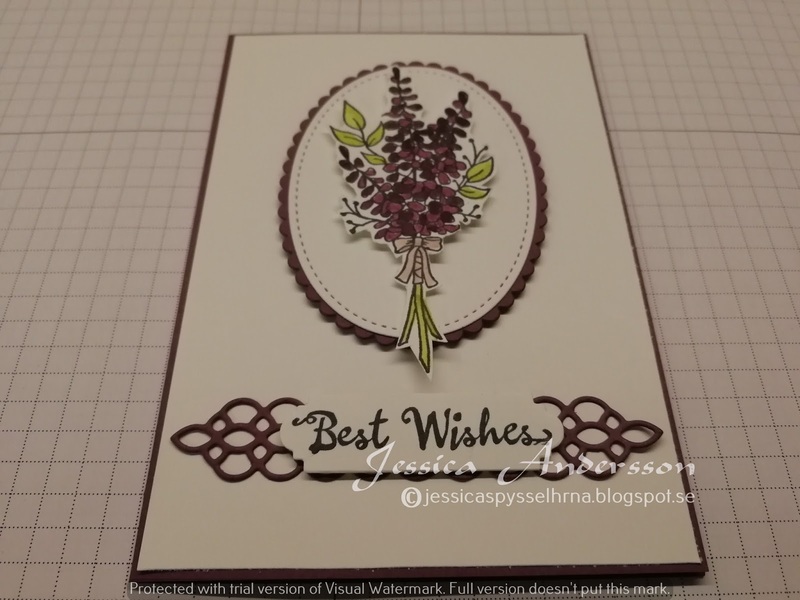 The sentiment is from the Petal Palette stamp set with matching dies. I used the dies there to cut out the sentiment and then the layer of Fresh Fig under the sentiment.